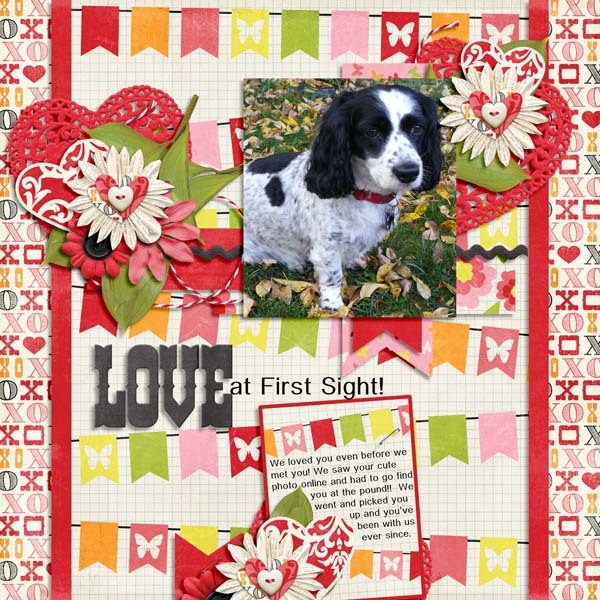 Marie H designs have a new kit in stores and it is very sweet and so colorful. 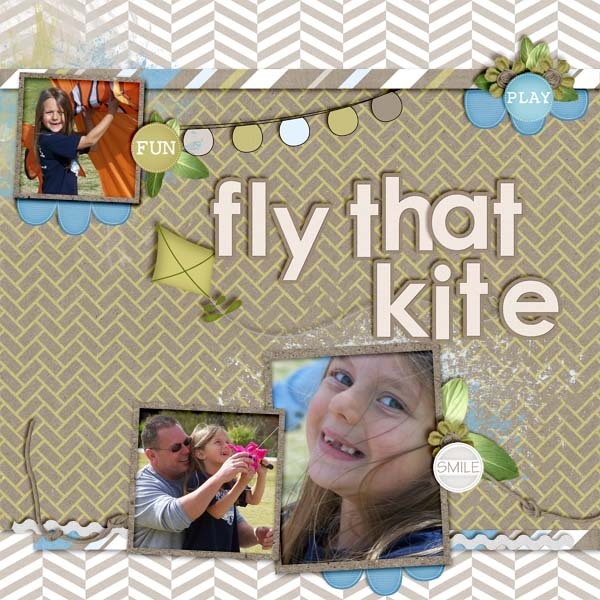 This kit came to life thanks to Katie a member of her team who wanted a kit that matched photos of her daughter. Little Miss B contains 20 papers, 53 unique elements and 1 alpha and you can get it at 40 % off for a few days. Here are layouts created by my wonderful team and the first layout is the REAL Little Miss B.
and you can find this matching alpha on her Fan page. You'd never know it by how often I post--but I am! I've been busy with life-and with scrapping that life. I've also been busy with redoing my bathrooms--and now my bedroom. That has taken up a lot of time, but I think they are finished now. I think we'll eventually move on to painting the hall and the living room-dining area sometime soon. It's such a hassle to do, but I like the results when we're finished. I still have "stuff" piled in the scrapbook room. It's leftovers from the bathrooms! Not sure what I'll do with all of it!! Well, just wanted to stop in and let you know everything is fine here--just busy! May God Bless you!! 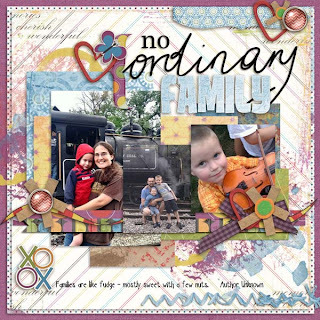 I've been working with some really cute kits this past week that I wanted to share with you. 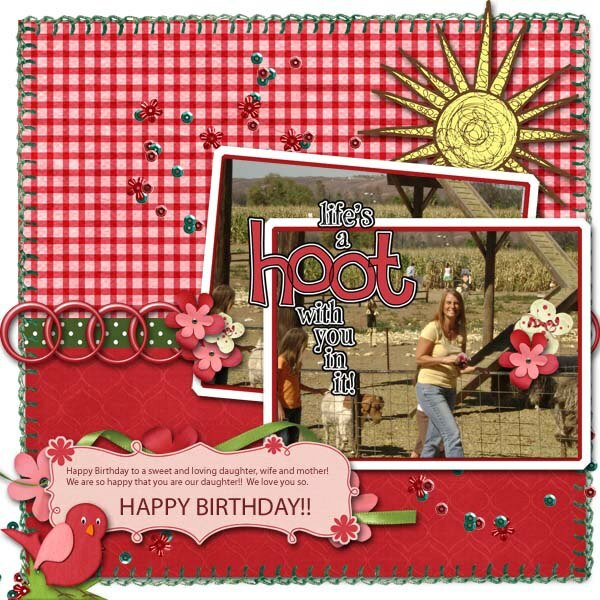 And I made this layout with it! I love this large photo of Micah when he was so little! 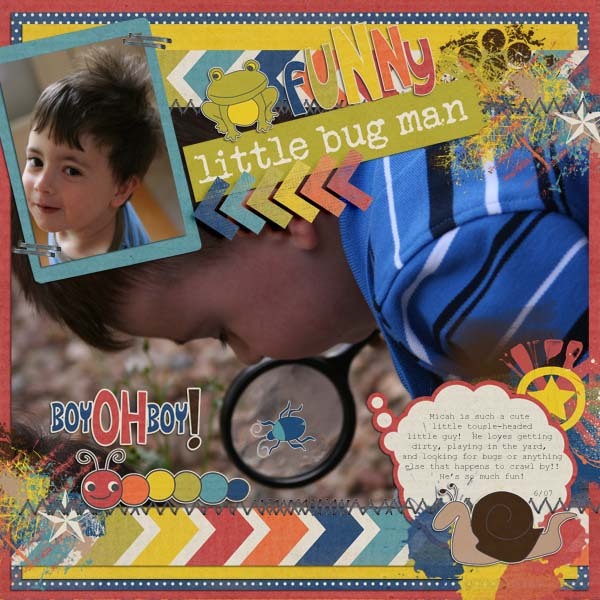 He was outside on the front porch, and Abby and he were looking for bugs with the magnifying glass! He really got into it! I do have some pretty awesome grandsons, but I chose to scrap my one and only Mr. Awesome, my husband! He's a pretty good guy. See how cute he is?? :) I kind of think he's pretty special. 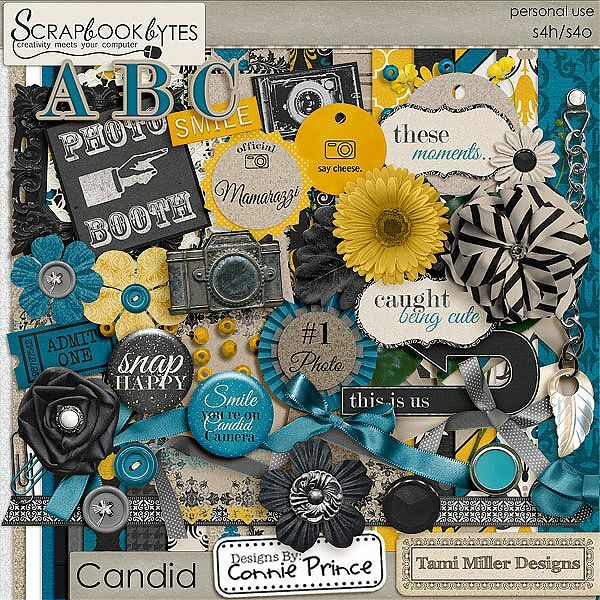 Tami Miller and Connie Prince teamed up and came up with a nice collab called CANDID. And here is the layout I did with it! I've worked with more, but these are the ones that just released! Thanks for stopping by! Hope to see you around digiland! God Bless You! I'm going to try and stay current. I know, I've said that before! We'll see how it goes. It's hard to think of things to say, so I might just post my layouts with information about the kits I'm using! I don't need another CHORE to do! :) I'm still enjoying scrapping about my grandchildren. They are so precious!! I've now turned off remarks to anybody that isn't a follower of the blog because of so many spammers. Sad but True. It was a full time job just to delete them. I think it was the enormous amount of spammers and losing so many of my layouts in my computer crash that turned me off of blogging in the first place. We'll see how it goes. 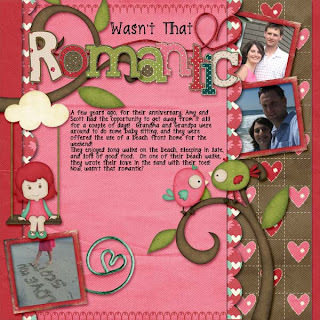 I used MARIE H DESIGNS new release called MONTH TO REMEMBER FEBRUARY found here: http://digitalscrapbookpages.com/digitals/index.php?main_page=product_info&amp%3BcPath=26_354&amp%3Bproducts_id=29779&amp%3Bzenid=17ca66c872626be5f3843f582f00e610 for this layout! I guess that is a good start! We'll see if I can keep it up now! Thanks for stopping by. You can find me on facebook if you'd like to comment about my layouts! Hi Blog!! EEEK!!! I'm so sad to tell you that about 2 weeks ago my computer quit--just up and wouldn't boot up! After jumping through some hoops, we were given permission to send it in for warranty work!! Thankfully we bought it from Costco, so had an extra year warranty on it!! I admit, I do use it a lot, but you'd think it would last more than a year and a half! Anyhow, got word from the service area that the problem is the hard drive fried. I lost a lot of layouts (about 70) and about that many kits, but thankfully, no photos! 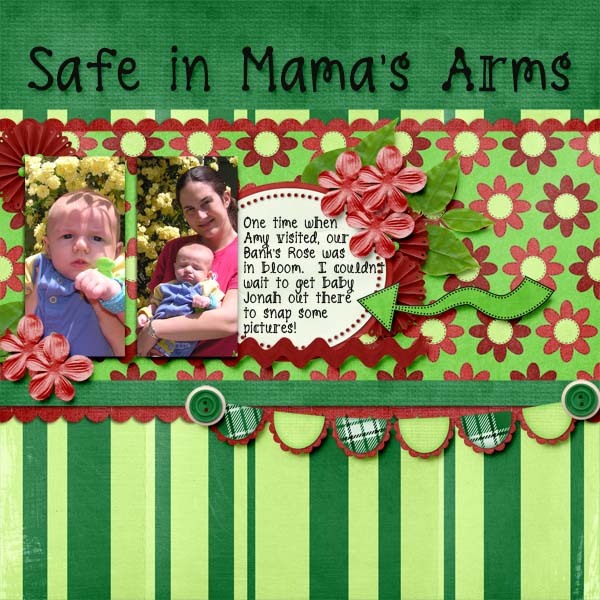 I've been able to download a lot of the kits thanks to some awesome sites that took pity on me and reset my links due to my sad story!! It's always been my practice to move things off the computer every month, so that saved my photos!! My practice will be to move things off weekly now instead of monthly. The good news--we received the shipping information yesterday that said it should be returned today. I'll be happy to get it back, as I've been using my old laptop that is really hard to use due to lack of RAM! I also have a double EEK!! I've been chosen to join the CT of Caroline S! Her things are so much fun! I think I'm going to love it. 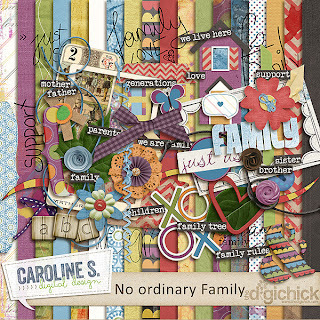 Also, I'm guesting in September and October with Studio Basic--another fun team! It is going to take me a week or so to catch up with my teams due to the lack of a computer, but I plan to really enjoy my stay with Studio Basic! I have a couple of layouts to share with you!! I love this new kit from Caroline S, guest designer at the Digi Chick for September!! The kits name is No Ordinary Family found here: http://www.thedigichick.com/shop/No-Ordinary-Family-by-Caroline-S..html It was so much fun to play with!! My layout is also titled No Ordinary Family. It's my youngest daughter and her sweet family. The boys are so special!! 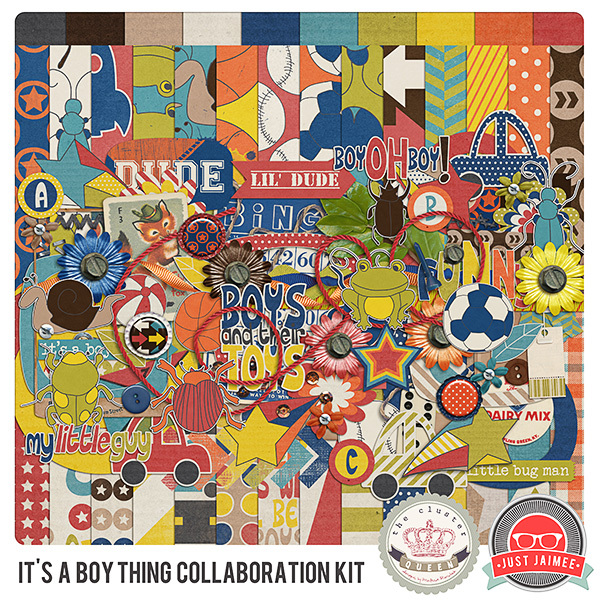 and here is the cute kit!! Can't you just see your own layout with this great kit?? 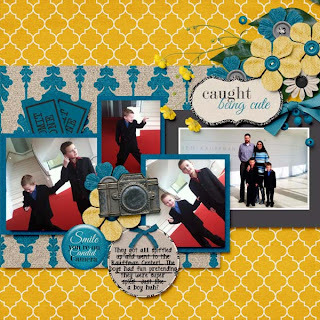 Another layout I wanted to share is this one! 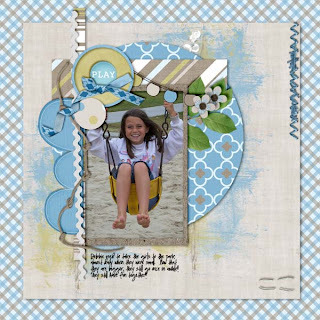 I used several things from Studio Basic Designs here! Dear Diary-which will be available soon!! Thanks so much for stopping by today!! Feel free to visit again soon. May God Bless you! Today is August 24th. It's a wonderful day in our family. It's the day several years ago that we welcomed a little bundle of joy to our family. We named her Deborah Renee' Staley. She's now Deborah Renee Thompson! She's a blessing to everybody that she comes in contact with. I remember bringing her to our small home in St. Louis. She joined a a 27 month old brother (who wasn't impressed with the little pink thing that made a lot of noise!!) Where he was a usually a little mischievous, Debbie was a little more shy but always sweet. She had a favorite blanket she lovingly called her sissy. Wherever Debbie went, her sissy was there too. It finally just totally wore out, and I think I gave her the last little strands of it not too long ago! Debbie also loved her thumb. Between the sissy and the thumb, those were her most prized possessions. Debbie's first experience away from home was for college. She attended Point Loma University in the San Diego area. She received her degree as a Registered Nurse. After that, she worked at Children's hospital in the same area. Now she's a happy wife and mama to four beautiful girls. Her girls give her as much joy as she has given to her father and I! I love to see them together. May God bless you really good today dear!! We love you. The summer is coming to a close soon! It's been very hot here in the desert for the last couple of weeks, so I'm looking forward to some cooler weather and cooler nights! I actually don't mind the heat, but when coupled with high humidity, it gets a bit draggy around here! We usually have "monsoon" type weather a couple of weeks in the summer. All in all, though, this summer has been one of our cooler summers since we moved here in 1972. I have a few things to share with you today. I'm only going to cover one designer today. Her name is Ryan Caselton, and she designs under the name ROSEYTOES DESIGNS. I haven't asked her yet how she picked that name, but I might! :) She currently has stores at Gingerscraps and Gotta Pixel. 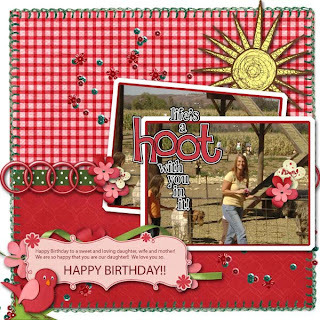 She used to design at a site I CT'd for, so I used to work with her product occasionally while she was there. 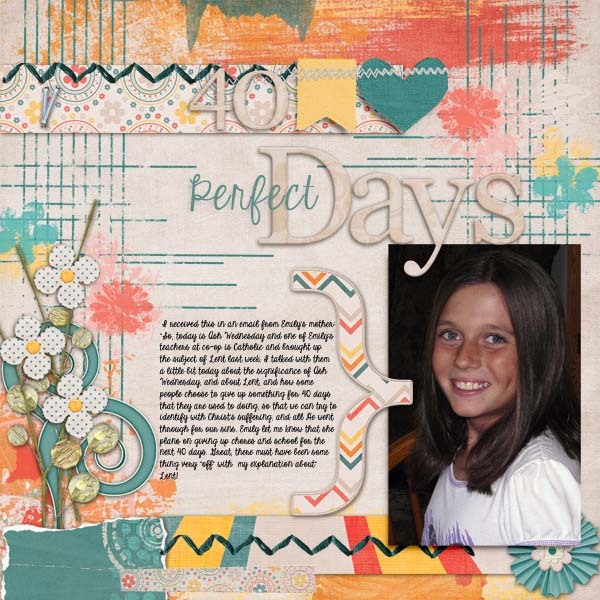 Anyhow, I've worked with a couple of her products this past week that I'd like to share today! The first product is called LOVE YOU FOREVER. I love the beautiful colors in the kit! See how pretty? I loved it! 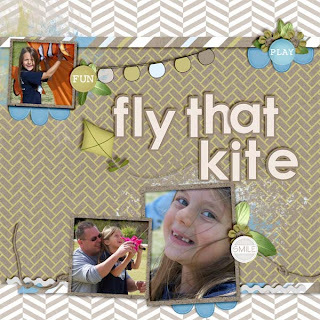 I made these two layouts with it! I liked the versatility of the kit! The colors would go with about anything!! 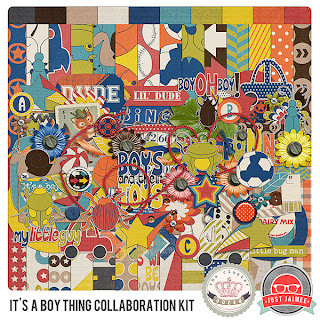 You can find this kit here and here. The other kit I worked with was called Backyard Play. This kit is found here and here. It has many nice and unique elements to play with, and a calm color palate! 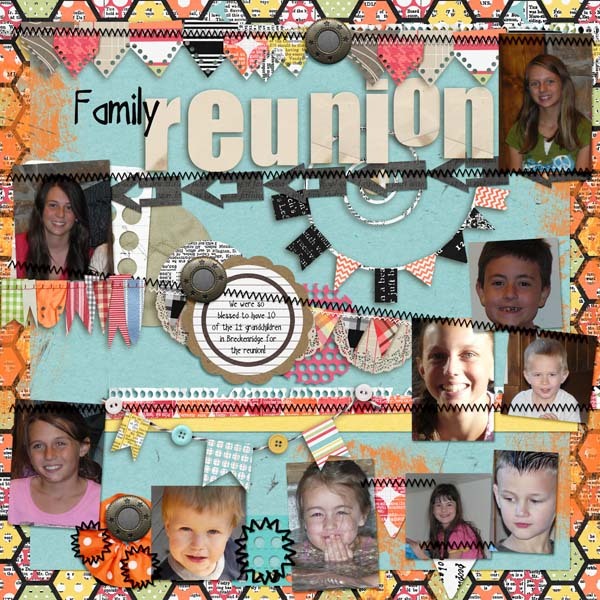 It was great to use for these layouts of the grandchildren!! 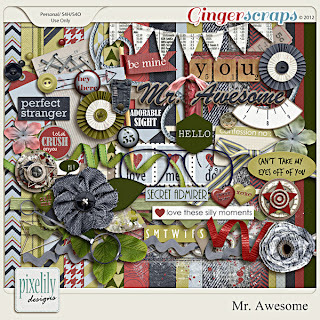 Besides the kit shown, I also used the matching templates and the grunge add on that can be found in the two stores!! 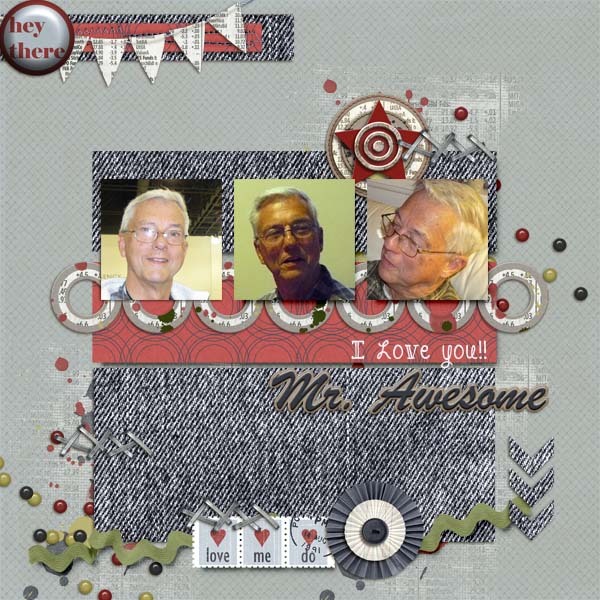 Look at the different looking layouts I did with the same kit. I love it when I can do that!! With Ryans kits, that is a given! It's possible to make several very unique looking layouts with the same kit. I love them, and you will too!! Take a look in her stores! I'm sure you'll find something that will inspire you to create a memory! Thanks so much for stopping by today! I hope you'll stop by again soon. In the meantime, may God bless you!